16mm x 18mm / 0.63in. x 0.709in. 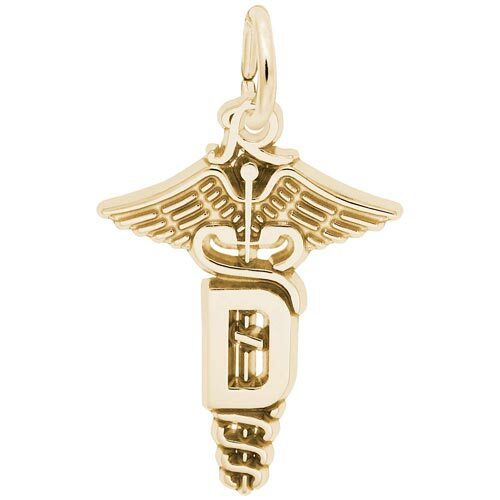 Dental Caduceus Charm. The Caduceus is etched with the "D" for the Dentist symbol. The back of the charm can be engraved.